One Year Anniversary! 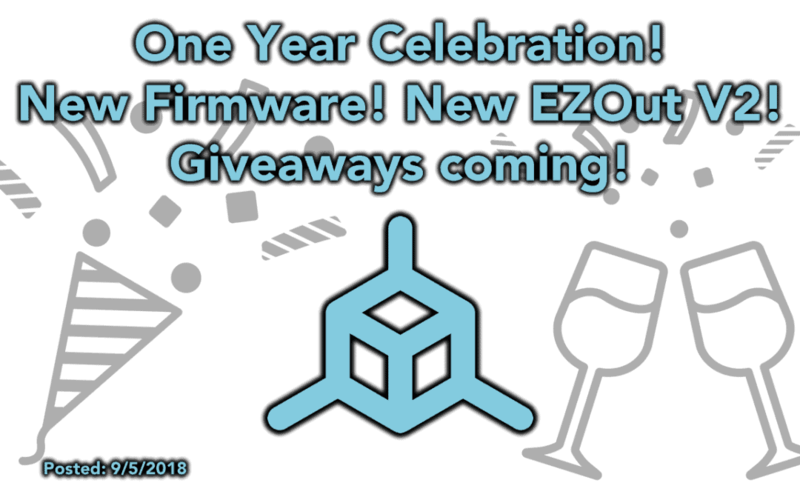 – New Firmware Released, New EZOut V2 Coming Soon, Giveaways Coming! This post is going to be very long. If you only care about the new firmware details, EZOut V2 information, and the giveaways they are after the One Year post and the EZABL history. September 2018 marks the 1 year anniversary of the “official launch” of TH3D in the 3D printing space, we founded the name in August but started using this site officially in September 2017. This year went by very fast and we could not have done this without everyone’s support whether that is through buying our products or just following what we do with our community projects like the Unified Firmware or our YouTube channel. We can’t believe that this is going as well as it is and it was a huge risk for us to take. We’ve not only been able to support ourselves but we are creating real jobs for people in the community. Our support guys, Mac & Tor, are people from the community that we met through them using our products. Our main product assembly guy, Tyler, is a friend of ours that was looking for work that was flexible for him so that he can continue to go to college while working. We were told by many that some of the ideas for products “wouldn’t work” or “no one would buy”. We dared to try it out and our risks paid off. A lot of people in the community don’t understand that not everyone wants to tinker with their machines constantly and just want to make things. Our focus is to bridge that gap between the “DIY” people and people that just want to use these wonderful machines to create things, art, or even their own products. In the last year we’ve also learned a lot about business in general. Taxes are a real killer. We’ve learned about all types of insurances we have to carry to protect us as a company and protect our employees in case something happens. Healthcare is expensive too! These things are that “overhead” that business talk about. 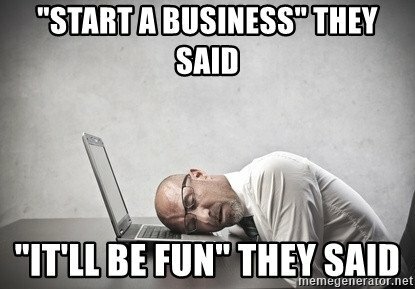 Some people complain about the prices we charge for certain items but don’t realize that at least 50% of the profit from them goes to all the costs of running a business. We have a much more respect for small business owners after seeing what is involved on the back-end to keep a company running and running legally. One thing about this market is that it is ever changing. There are new machines being released every other week it seems. Within a week or two of a new machine coming to market we get a flood of questions from customers and other people asking if we will be supporting the new machine. This involves us trying to get ones for review and if that fails we purchase the machines directly. The time spent on each printer for testing and firmware development ranges from 60-200 hours per machine. This is on top of the constant updates and innovations to the Unified Firmware that we put out. We want to make sure that whether a company actually releases source code or not that people in the community have firmware for those machines to make them better and safer at no cost. Interestingly enough the majority of the downloads on our firmware are not from people that are customers but people just looking to upgrade their printer firmware. We are also focusing on using more and more US sourced parts and materials for our products. We have switched over all our filaments that we use for our products and customer prints to filament suppliers that make their filament in the US and with US plastics. The new EZOut V2 PCB will be made in the USA as well. Once we deplete the existing stock of EZABL boards those will also be made in the USA. Products like the EZABL and EZOut are all made here in the US by hand in our office using parts from all over the world (including the US). While we can’t 100% switch all our supplies to US sources due to cost and/or availability we are switching over as much as we can when it makes sense to do so. With all that said and the countless long hours (as I type this at 2AM) I think that we made the right choice to start TH3D. Being makers ourselves we know all the pitfalls of cheaper 3D printers and what is involved with keeping them running. Our focus is on providing reliable, high quality replacement/upgrade parts for these machines and products that make what are normally “DIY” types of things accessible to everyone. We pride ourselves on shipping out parts that are high quality and priced fairly along with making sure our customer support is top notch. Our main products (EZABL, EZPi, and EZOut) all include 1 on 1 email support in the purchase price. Our other products that are more of upgrade/replacement parts rely on the documentation that we are continually putting out and the communities we built up over the last year. We want to say thank to you all the regulars that help out people with general 3D printer issues and giving them tips on how to fine tune their machines. Hopefully one day we will be at a point where we (Tim & Samantha) aren’t working 60-70 hours a week but until then we’re going to keep on putting in the hours to make TH3D as great as it can be. Over a year ago Tim started selling EZABL kits to people in the CR-10 group. He saw a gap between people that just want to focus on making things and spend less time tinkering with their machines. The EZABL kit was a hit and still remains to be our highest seller in our shop despite carrying over 50 different products! The first “retail” kit was launched under his IT website on 6/17/17 and was the “TDH EZABL V1”. The EZABL was never actually intended to be a kit. This was just an electronics project that Tim put together for his own printers. 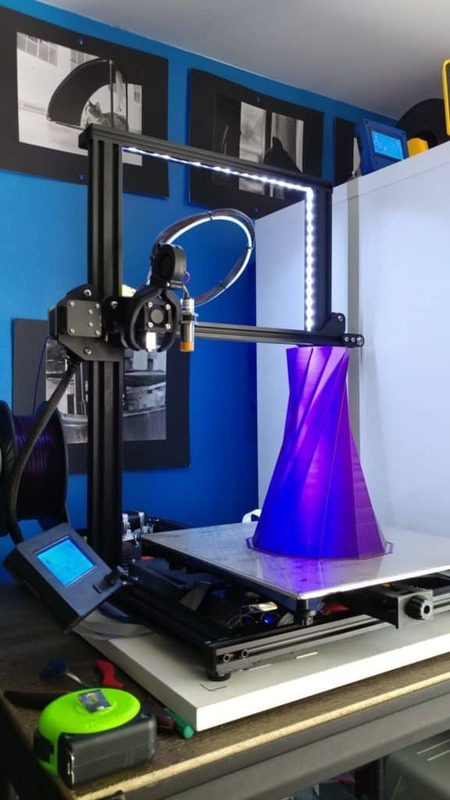 After extensively upgrading the CR-10 he purchased from Tiny Machines he posted the picture below in the CR-10 Facebook Group showing off the vase that he printed. No one really cared about the print but everyone cared about how did he get the ABL sensor on the machine. 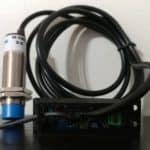 No one in the CR-10 group was using auto bed leveling due to the limited board, no firmware support, and complexity of connecting the sensor safely to the board. Tiny Machines reached out to Tim to help them with their firmware and sent out a CR-10 S4 at a discount in exchange for getting firmware done for the CR-10 machines so they could have a better and safer firmware for the printers they sell. This was far before anyone was caring about the GPL. Tim spent weeks reverse engineering the CR-10 board and making changes to Marlin to get it working on the CR-10 Melzi board. It was a long process but once the firmware was completed he started focusing on adding more features like bed leveling. Once the firmware was completed and working he started making prototype kits 100% by hand on bread board with off the shelf sensors. This was made in May 2017 and sold along with a few others in June. After testing by other people that wanted the prototypes Tim learned how to design PCBs and sent them off to a manufacturing house to get them made in bulk. With boards in hand the official launch was on 6/17/17. We had no idea what a hit it would be. We couldn’t keep up with demand and the basic site we used to sell them crashed under the load. Within the 1st 24 hours all 100 kits were sold out, this happened continually as more batches were made over the next few months. Tim and his friends spent many late nights assembling and testing all the kits over the next few nights to get them all completed and out the door. Once we realized that we had something here we came up with the brand name “TH3D Studio” to separate the 3D printing world from Tim’s IT website. The TH3D website and all the sales were moved to the TH3DStudio.com site in September 2017. Once Tim saw that sales were going pretty well Tim decided to leave his IT management job and take a chance on working for TH3D full time. Where is TH3D at today? Since November 2017 Tim has been working on TH3D over 70 hours a week to keep things running, working on new products, firmware, and continually improving the products. You can thank Samantha (Tim’s wife) for this all being what it is today. Without her encouragement to take that leap to see if TH3D would work out he probably never would have left his day job and worked on TH3D. As of today there are over 5000 EZABL kits in the wild. We’ve shipped products to over 50 countries worldwide and every state in the USA. We’ve sold over 20,000 individual items in 1 year. We now have 4 full time employees and 6 part time employees helping to keep TH3D running as smoothly as we can. We stock over 50 different products in addition to our EZABL kits. We are still a home based business! We’ve had our products attempted to be copied by other companies (including Creality) but they always fall short when it comes to supporting the products and producing documentation. Hardware is the easiest part, customer support, proper firmware, and quality parts are hard to replicate. Our V3 kits are the evolution of the kits over the last year based on tracking failures, customer feedback, and using custom sensors to make them more reliable. TH3D is like our child. We really try to bring people the best products and support them when then need help. We’ve spent countless hours making new communities to help foster creativity, community help, and innovation for everyone. We truly believe (and have been told by our customers) that our products make peoples 3D printing lives easier so they can focus on what is important – making awesome things with their 3D printers. 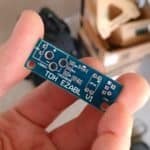 The EZOut is a product to add a filament sensor to your 3D printer easily even if it doesn’t have extra pins to connect to the board. We’ve spent time working on custom firmware to run the sensor off of extra LCD pins with NO soldering at all. Our original EZOut (here after referred to as V1) only supported the CR-10 and Ender 3 series printers. The EZOut V2 will retain that same exact functionality for the CR-10 and Ender 3. What it will add is that due to the new board design we are able to dynamically build them now to work with the below machines and boards. Depending on the machine you select determines how we configure the board. We will be updating the installation guide for the new V2 once we get the production run of boards in. We are also using local manufacturers for the PCBs so these will be made in the USA with US materials. 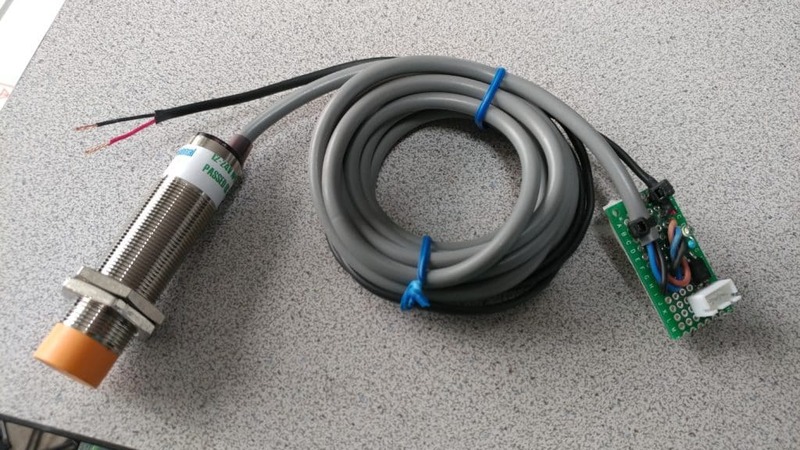 We have also upgraded the included filament sensor to allow for smoother insertion and feeding of the filament. The flexibility of the new EZOut V2 board will allow us to rapidly support new machines without making hardware changes to it. 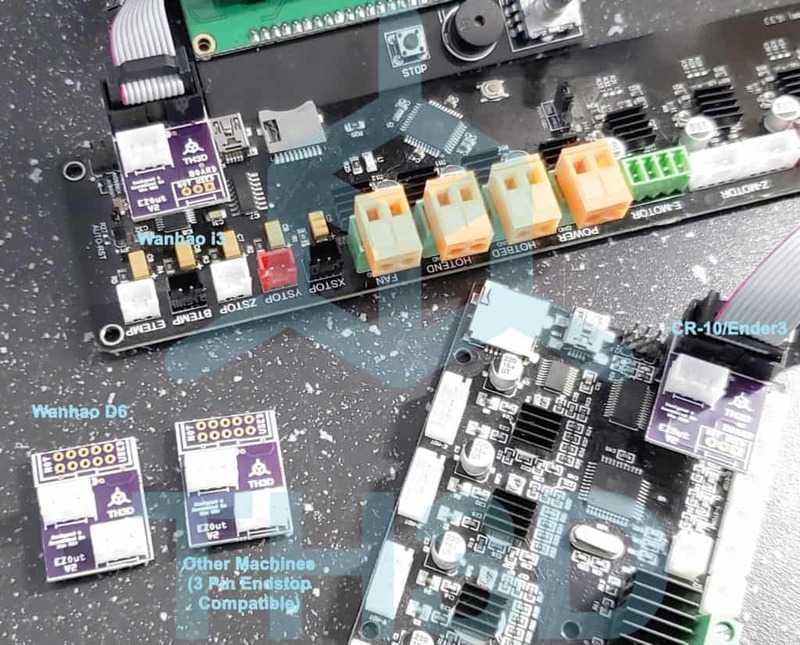 We noticed people using the EZOut board for other purposes (like BL-Touch on the Ender3/CR-10/Wanhao i3) we have labeled the pinouts (5V, GND, Signal) on the rear of the board. However this is a side use for the board and included support does not cover helping you get firmware setup for this application. 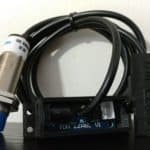 It is important to note that our filament senors must be used with the included EZOut V2 adapter boards as the board handles the wiring changes necessary to use the sensor on the machines. The price will be $24.99 at launch and include support. We’re proud to announce that the new Unified Firmware U1.R2 version is live and better than ever! This is built on the new Marlin 1.1.9 code base and we’ve been testing it from even before 1.1.9 was finalized. We’ve integrated new features into the firmware, including the SD Power Resume feature for ALL machines. THe print quality even with the same Gcode is better if you check out the new Acceleration and Jerk features in the firmware. The SD resume, Jerk, and Acceleration features are in the TH3D Extras features. We are running all the new Jerk and Acceleration on our new machines. The SD resume works as it did on the Creality CR-10S firmware but due to the memory needed to run it means the new Jerk and Acceleration features cannot be used at the same time. One thing to note about how the SD Power Resume is implemented is that it writes every layer to the SD card. In the event of a power loss it will check for a file with that status on startup and ask to resume. This is nice but it will cause more than normal wear on the SD card due to how often it writes. Our recommendation is to not use it and pickup a decent sized UPS (700+VA) and run the machine on that. The new Jerk and Acceleration features are worth not using the SD Power Resume. The firmware also has fixed intermittent issues with false triggers on the stock filament sensors on machines that have them as well as our EZOut kits. All the fixes from Marlin 1.1.9 are in this release as this is what it was built on. In addition to that the Folgertech FT-5 Is supported along with the Geeetech A10 printer. Even though we are not happy with the current standing of Creality and the GPL we are working on getting the CR-X and CR-20 machines supported in the firmware so that people have a GPL compliant (and safe) firmware for these printers. The JG Aurora A5 and the Wanhao i3 Plus are next on the workbench to get those supported along with a LCD addon for the A5 to get all the features that the new firmware will offer. To celebrate our 1 year anniversary we will be hosting a giveaway on 9/29/2018 on our YouTube channel during the live stream. This stream will be an open stream to discuss whatever you want, kind of like an “AMA” on Reddit. We will also be talking about whats been going on in the printing community and hopefully we’ll have some of our team on the stream (remote and in person) to join in. 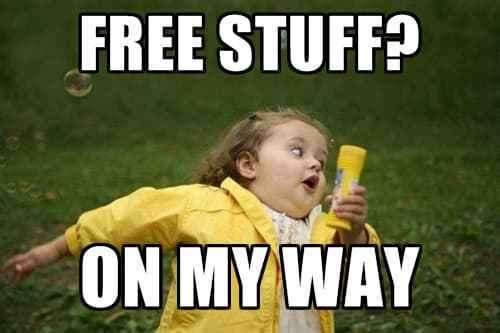 We will be giving away EZABL kits, Gift Cards for the shop, and discount codes. What about the Artillery? Those of you that are wondering we are still working on the Artillery 3D printer but the manufacturer that is doing the core parts like the frame and metal enclosure is having issues with sourcing the parts. If we have to switch to another model to base our machine on we will but we hope they can get their supply chain lined up as testing on the machine has been going very well and it’s proved itself to be very reliable and the prints we’re getting off it are top notch! That sums up the the most pressing things going on here. This is probably the longest post we’ve made and this isn’t even everything that we’re working on at the moment. So stay tuned for more developments and new products in the near future!